* Manufactured to 350N CE Level 1 and in accordance with BFA regulations 01.01.06. 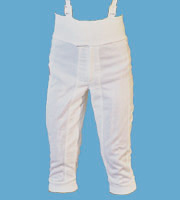 * Level 1 competition garments incorporating stretch panels for comfort and fit. * These ranges have all the traditional Uhlmann/Allstar attention to detail and quality but are designed for those who only require protection to Level 1 standard. * Typically suitable for younger age groups, schools, colleges and universities. * See bottom of the page for size charts. * Please check BFA regulations in force as of 01.01.06. or phone us for advice to ensure your intended use will comply with the new regulations.